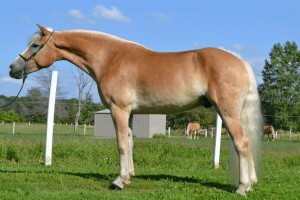 Asti is a 2006 AHR registered 5 year old Gelding. 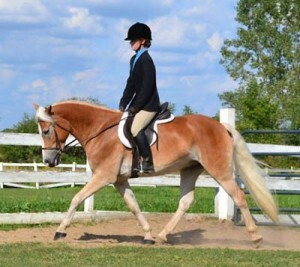 Asti offers beautiful conformation, awesome gaits and a sweet disposition all in one fancy package. Asti is sired by Arno van het Nieshof, the only AHR ‘Supreme’ status stallion in the country and also a former 2-time AHR ‘National Champion Stallion’ and 4-time AHR ‘Stallion of the Year’. With his natural collection and super-forwad movement, Asti is sure to get you noticed! At the NY Gold Classic Show in August he won the ‘Suitability for Dressage’ class and scored 64% on his first ever time in the dressage arena! Asti was also 1st place under both judges at the 2011 NY Gold Classic in his halter division. Asti continued his winning ways at the 2011 AHR National Show where he was 1st place in his halter division and went on to be named the 2011 AHR Reserve National Champion Gelding! Asti is also trained to drive. Asti is proudly being offered for sale by Genesis Farm to a show home in which he would serve as an ambassador of the breed with his extreme athleticism and impressive gaits.The sky is the limit for this gelding in the right hands as an elite performance horse.